This lightweight, ergonomically designed, cordless angle grinder makes tough jobs like sanding, polishing, cutting and shaping seem easy! When working on tough jobs like cutting through kitchen wall tiles or rounding off hard surfaces, portability contributes immensely to the success and finish of the final outcome. 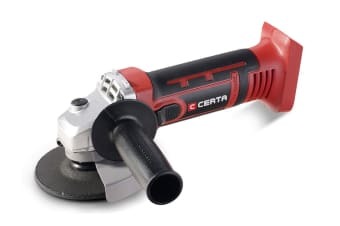 The Certa PowerPlus 18V Angle Grinder (Skin Only) is lightweight and cordless offering easy portability even into tight spaces. It has been designed ergonomically to make sure that you can access key buttons and triggers with just one hand. Weighing just 1.74 kg, it is light enough to let you work for long hours comfortably. Maintaining your house may require you to work with wood, hard plastic, stone or even metal. There’s furniture to be polished, floors to be buffed, metal surfaces to be cleaned and so much more! Having a lightweight and portable grinder around would be a boon to keep your home looking great. And if you regularly work with wood, stone or metal, this is a must-have tool to increase your efficiency. 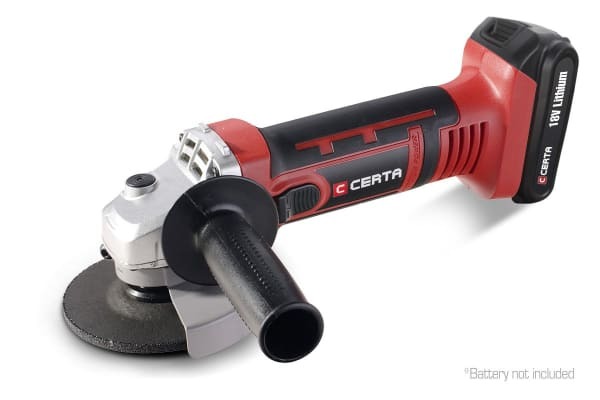 The Certa PowerPlus 18V Angle Grinder is an all-rounder that works as hard as you to achieve the best results for jobs that range from carpentry and plumbing to painting and flooring. Avail of the convenience of using just one battery for the entire Certa Power tool range. 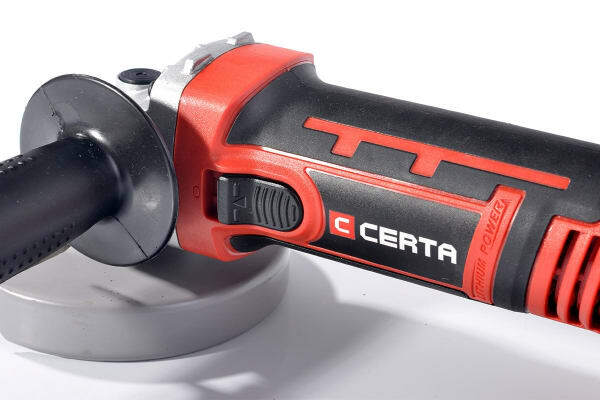 Get the Certa PowerPlus 18V Lithium Battery (not included) and Certa PowerPlus 18V Rapid Charger (not included) which can be easily switched from one Certa Power tool to another. Need replacement or backup grinder discs? Look no further than the Certa 10 Pack Angle Grinder Disc Set.